Check these amazing recent pics of Anushka Sharma and Pooja Hegde! The latest pics of Anushka Sharma and Pooja Hegde are amazing! 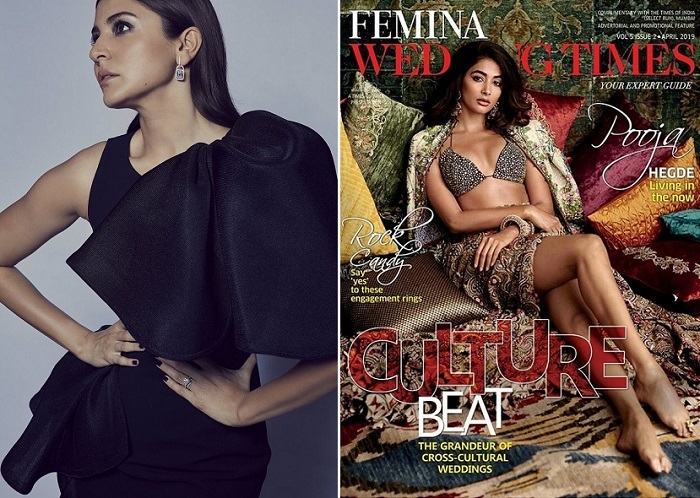 While Anuska dresses up in black, Pooja features in the April cover of Femina Wedding Times magazine. Both of the actresses look ravishing!